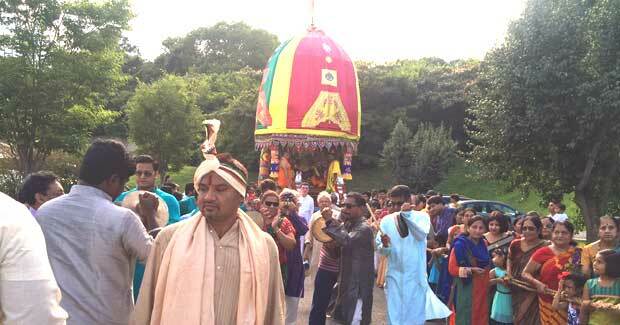 USA’s first Jagannath temple at Nashville recently celebrated Ratha Jatra. This year Padmashree Nila Madhab Panda received the rare honour of doing the Chera Pahanra. Established in 1992 by the Jagannath Society of America, the temple celebrated the festival just as it does every year replete with all the rituals and traditions. Not just the Ratha Jatra, following the traditions of the Puri Sri Mandir, Bahuda Jatra, Natra Utsab, Dev Snana purnima and similar rituals and festivities are also performed in this temple. Currently there are more than 25 Jagannath temples across the United States of America. The Jagannath cult transcends all borders. People all over the world are singing the lord’s praises. Ratha Jatra celebration today is not just limited to the boundaries of Odisha rather the chariot is rolling all over the world. Caste, creed and religion go void when devotees wholly submit themselves before the Lord of Universe. From America to Japan, the entire world is celebrating Ratha Jatra with much fervor.